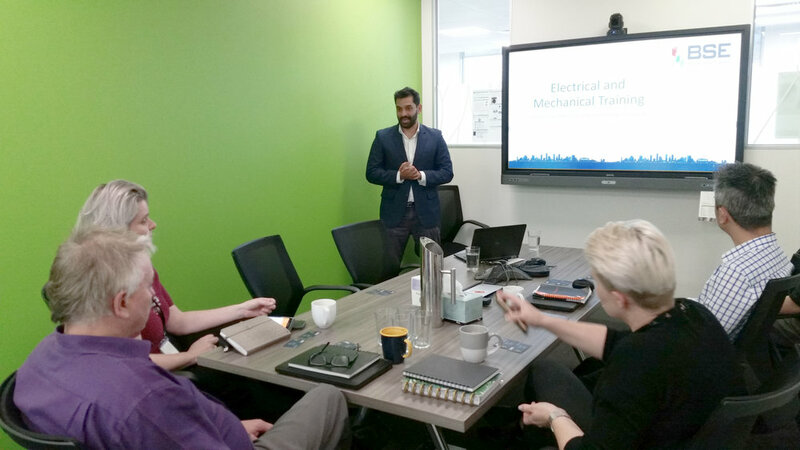 Iynka Logan, BSE’s Victorian Regional Manager and Huey Liew, Senior Mechanical Engineer recently presented BSE’s Knowledge & Learning seminar to Baptcare in Melbourne. These informative presentations focus on electrical and mechanical design in buildings and also include updates on Australian Standards and legislation. BSE’s Knowledge and Learning series currently covers mechanical and electrical disciplines. If you would like your team to benefit from a session in Melbourne, Sydney, Canberra or Brisbane, please touch base to schedule a date! Newer PostWork, Health and Safety First!